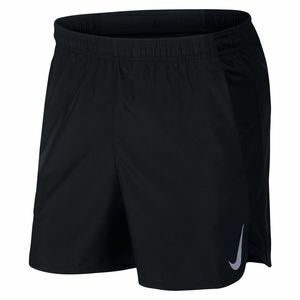 The Nike Challenger Men's 5" Running Shorts deliver sweat-wicking comfort and optimal breathability. The adjustable waistband lets you customise your fit, while multiple pockets keep your essentials close at hand. Nike Dri-FIT technology helps you stay dry, comfortable and focused. Multiple pockets offer convenient storage. Elastic waistband has a comfortable feel and modern look. It has an internal drawcord to provide a personalised fit. 5" inseam delivers coverage while allowing you to move freely. Pocket on the centre back has an envelope closure for secure storage. It is big enough to hold a phone.